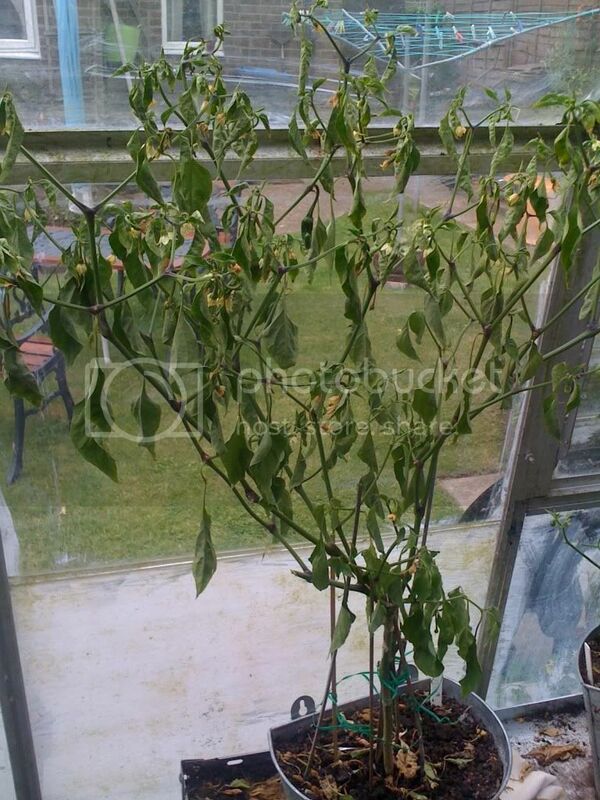 Chilli Plant Disaster ..!! PLEASE HELP ! What can i Do ? ive been watering every day and once a week a feed of tomato food ..
Watering every day and feeding every week both sound like too much, but neither one should have done that to it. The watering every day could possibly have done that if the water wasn't draining away so the pot was standing in water. But it looks like either some kind of wilt disease (over what period of time did it go from healthy to like in the picture?) or else it cooked in the greenhouse. (I assume it is too early for it to have been frost bitten.) Sometimes in direct sun an unventilated greenhouse can heat up intensely. I'm not sure what its chances are at this point, but if you want to give it a recovery chance, I would water thoroughly and then be sure it is well drained and don't water again until the soil starts to dry out, more like once a week than every day. Don't fertilize any more unless/ until it starts to put out new growth. Be sure your greenhouse is well ventilated. Maybe someone else will come along and say more about the disease possibilities, but knowing whether this happened in slo-mo or over night will help. looks like heat stress, our plants in the greenhouse get this type of deal this time of year, when its crazy hot in there. how does the soil feel? wet or dry? check the stems for any discoloring and or scarring. mostly near the base. 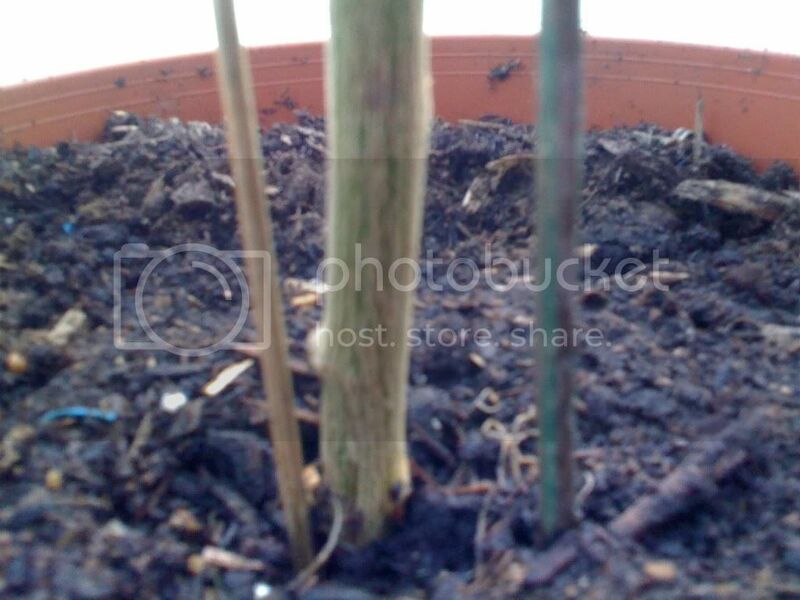 also give the plant a small tug upwards from the base, see how well anchored the roots are. they might be rotting away. yea hold the plant sideways and pull out the plant gently to check the roots. they should be white or slightly yellow. brown and black, not so good. so did the pot not have drain holes or what?